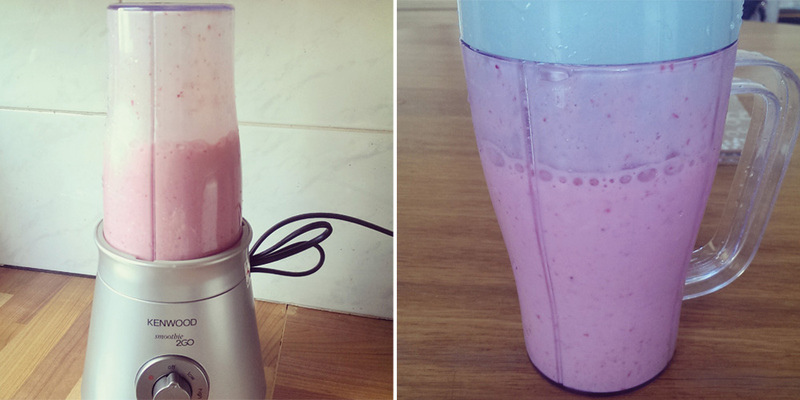 I made a lovely smoothie at the weekend and I wanted to share the smoothie yumminess with you guys :). It's really quick and easy, you only need a few ingredients. And the best part of all, it is yummy AND good for you! 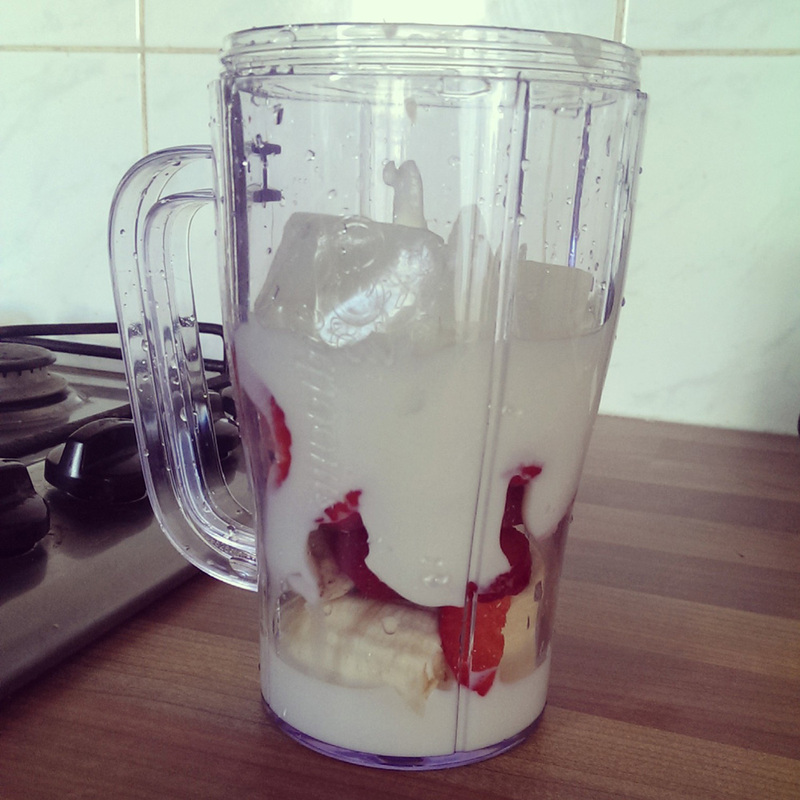 You could have this smoothie as a quick breakfast or a snack in the day. I've used fresh fruit for my smoothie but you could use frozen ones instead, you won't need to add ice if you do though. 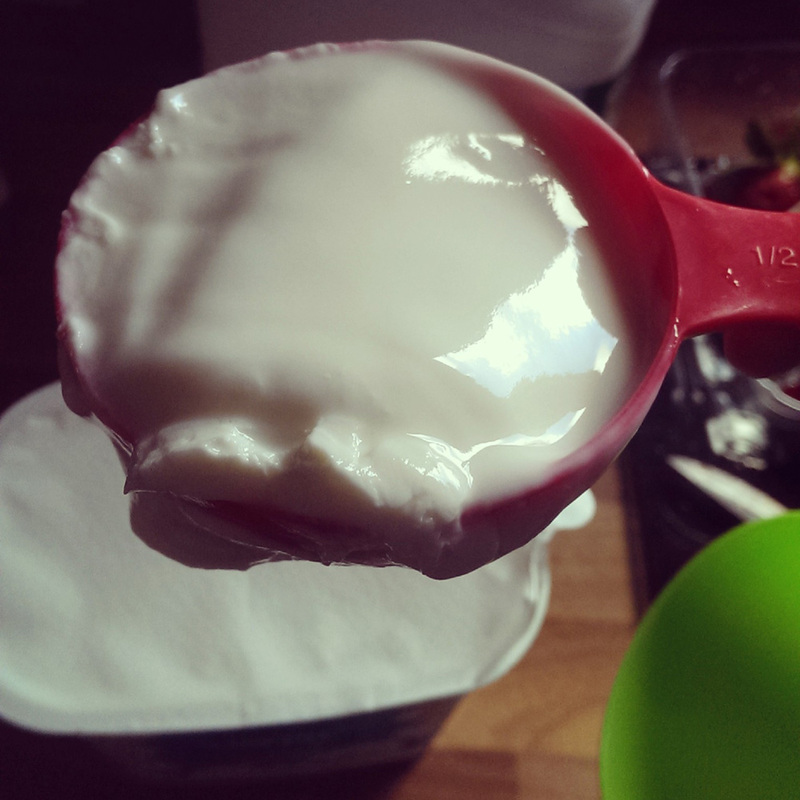 You could also substitute the natural yoghurt for greek yoghurt if you don't like the taste of natural. I got my cup measures from Asda for maybe £3 a few months ago, so not sure if they still do the colourful one. I love cup measures, it makes it super easy to get the right amount of each ingredient. Ideal if you're in a rush to get a quick breakfast or snack done. Shove all the ingredients into your blender or smoothie maker, and blend. It's as simple as that! The recipe makes enough for one large-ish portion so double it if you're making for two. 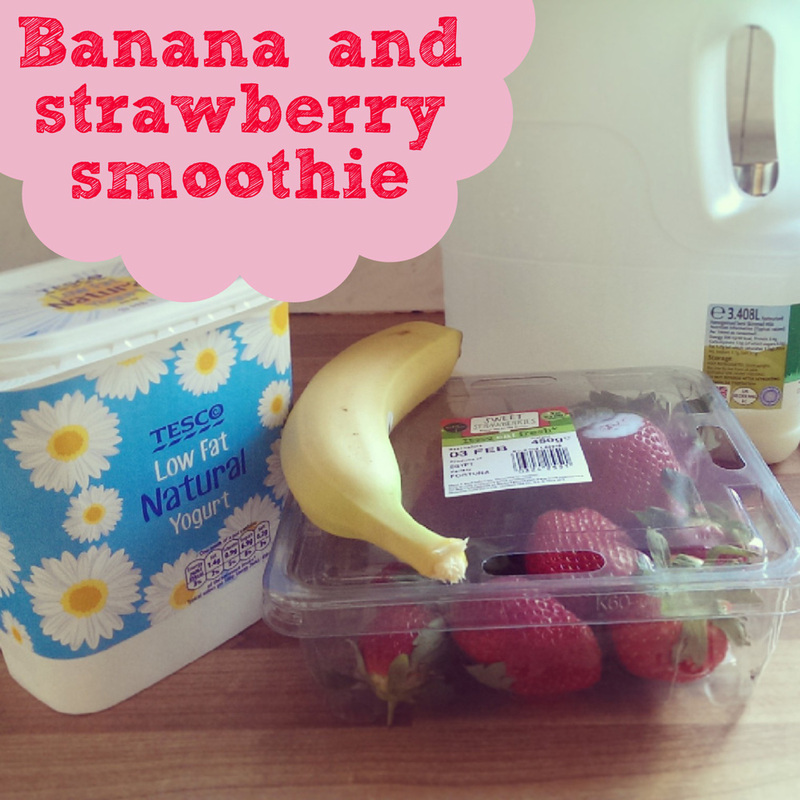 I love this smoothie personally, its so tasty and healthy for you! If anyone has any good smoothie recipes I'd love to try them!